Product code: Q771 Categories: Sold Items, Sold Omega Watches. Here is a ladies very elegant vintage Omega diamond set watch dating from 1968 that looks spectacular! Fitted in a solid 18ct white gold case, the case is set with 24 diamonds with a further 6 more at each end in that lovely bar design. The diamonds are all round brilliant cut diamonds and total 0.84 carats. The case itself measures 18mm across plus the crown and from end to end measures 21.8mm. Being this size gives it such a feminine look and appeal to it and this vintage Omega watch really looks spectacular day or night. Inside is a superb 17 jewelled manual wind Omega calibre 484 that has just been completely serviced, runs great and comes with our 12 month warranty. 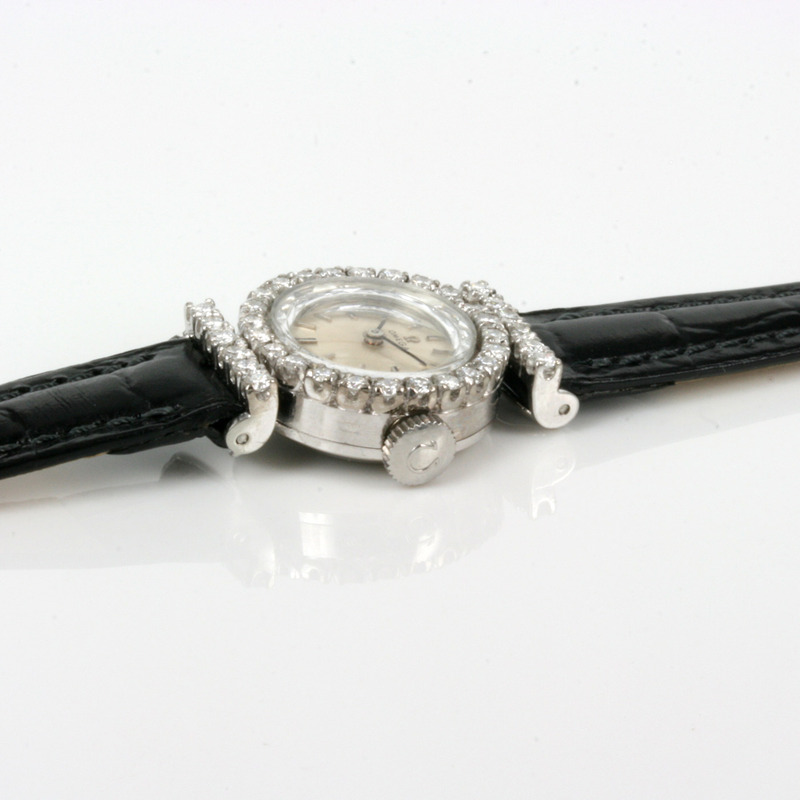 Day or night, this ladies diamond set Omega watch will always look good and always be admired.